﻿ Star Island Resort & Club, Orlando (FL) | FROM $92 - SAVE ON AGODA! Have a question for Star Island Resort & Club? "The facility was nice and it was clean." "The scenery and just relaxing feeling." "the pool in the morning was the best." Star Island Resort & Club provides guests with a unique hotel experience in a Mediterranean setting. 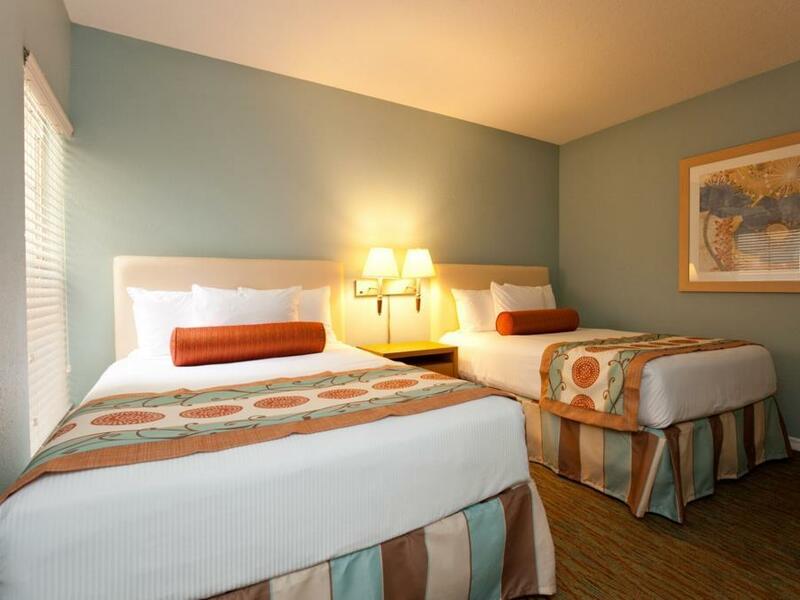 The resort is located close to the world's most famous theme parks like Walt Disney, Universal Studios Orlando, and other attractions such as shopping centers and entertainment areas. 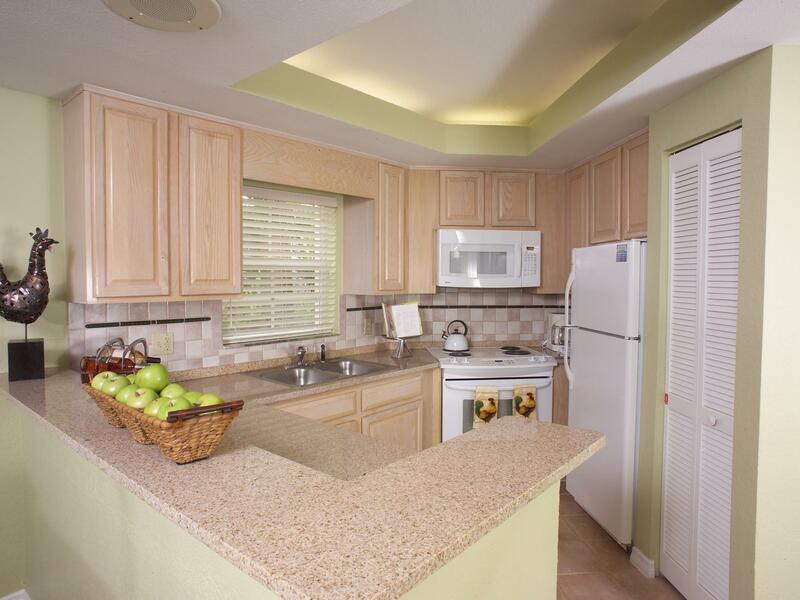 Guests are offered comfortable and spacious accommodations featuring a fully equipped kitchen or kitchenette depending on your choice of room. Families enjoy upscale villas and suites stocked with all the essentials and a tranquil tropical setting centered around two outdoor pools, nine tennis courts, a spa, and a full roster of planned activities at the Star Island Resort and Club. The superb facilities and an excellent location make Star Island Resort & Club the perfect base from which to enjoy your stay in Florida. "This is a really good place to stay with your family"
Cash is not accepted at the property. All guests who wish to stay must provide a credit card upon reservation and check-in. A credit card security deposit of 200 USD is required upon check-in for charges or damages during the stay and will be refunded upon departure. We had a kitchen and access to a washer and dryer which made everything so convenient. The only problem we had is that there is no toilet mat when the floor gets wet. Traveled without husband with two children to visit theme parks. Felt safe. If I’m comparing this resort to others of the same price and of similar age, the resort would warrant four or five stars. If comparing to all resorts in the immediate area, the resort warrants three stars. Would highly recommend to anyone who was in Orlando mainly for the attractions. The place was actually really nice. It was about 15 minutes from magic kingdom. The facility was nice and it was clean. Some reviews I saw mentioned a bug problem so I was worried about that. I'm happy to say I saw no bugs in the hotel and I was really looking for them. The only downside was that we checked in at 2am after we got back from Magic and there was no parking. We had to park far but someone in a golf cart drove us to our hotel room with all of our stuff. We definitely appreciated that. We also got a ride back to our cars in the morning. We used the resort more as a base for other activities in the Orlando area. Therefore, we did not take full advantage of all the resort had to offer. We stayed in a smaller lock off unit to a larger suite. The only draw back was we could hear our neighbors who stayed in the larger suite right through the walls as they were literally in the next room. Fortunately it was fine because we and our neighbors were older people who were not up late at night. Overall, the staff was very accommodating and courteous. The looked nice and folks appeared to be having fun. Our unit was a little dated and showing some age, but was clean overall except for some rust showing on a ventilation cover. We of course were asked if we wanted to attend a time share presentation, but were not pressured to go. We opted to pass. We liked the fact the location of the resort was not in the middle of all the theme parks so we could avoid park traffic. I like the availability of washing machine and drier. The resort was fine - it appeared to have a variety of activities for different ages (i.e. Pool, sauna, game room, in room DVD player). Everything was clean and in working order. My only major complaint was the $200 deposit that was due at check-in to cover incidentals. This would not have bothered me because many resorts now ask for such deposits. My real issue was that nothing in the Agoda booking information mentioned this $200 deposit. I was traveling with cash and was not prepared for it. Thankfully, the resort worked with me, but it was very embarrassing and frustrating to be caught unawares. Other things to be aware of: if you stay for a few days, they do not provide daily room servicing; they have a club above the main lobby that plays loud music until at least midnight; and finally, the ice machines are not convenintly located. Otherwise, I had no real issues and would consider staying there again. I loved my stay at this resort and will definitely go back. I liked the various options of activities and entertainment available each day. The grounds were kept clean and were beautiful especially with the ponds and wildlife roaming the grounds as a bonus treat. The staff were very courteous and helpful to my needs. My family and I travel all over the world and like staying at all-inclusive resorts, but this was our first time at a Resort/Time Share facility. The room outlay and general presentation was quite welcoming. We had no need of anything. They ensure that there were many extra towel sets and the utensils and gadgets in the kitchen were awesome. The schedule of activities were also great. In general, we had a fabulous time; can't wait to return. Friend woke up with bites. Might be bed bugs. Was okay overall. Not one thing I could think of to complain about. Beautiful perfect place. Rooms are huge and luxurious. Clean , very nice! The only thing I didn’t like was someone calling my room a couple times trying to push me to go to a breakfast to look at their other properties, time shares! !